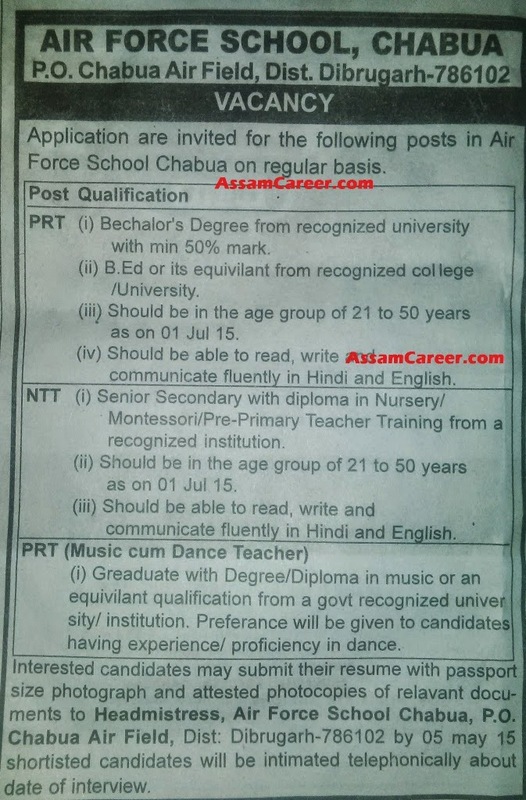 Applications are invited from eligible candidates for the following posts in Air Force School, Chabua on regular basis. How to apply: Interested candidates may submit their resume with passport size photograph and attested photocopies of relevant documents to the School address as given below by 05th May 2015. Pl check the following image for more details.